With more public attention on environmental responsibility, the issue of how waste and recycling is handled comes into greater focus. In addition to environmental concerns, aesthetics of waste containment also comes into play with regard to city and county codes and ordinances. That’s why having state-of-the-art waste and recycling containers is important. You need containers that do the job effectively, meet aesthetic standards, and are cost-effective. Here are some considerations regarding recycling containers. You’ll need to determine what types of materials you intend to collect. Your waste container should be designed to accept the materials you want and exclude other types. For instance, if you’re looking for chemical waste containers in Detroit, MI, you’ll need something designed to handle hazardous materials. If your intent is to not accept chemical waste, the container should be clearly marked to list those materials as not acceptable. How much waste and recycling do you expect to generate? You’ll need an estimate of that before choosing a container. If under capacity, a collection site might end up with waste and recyclables piled outside of the container, which becomes a major eyesore. But if too large, it results in unused space that is unnecessary. 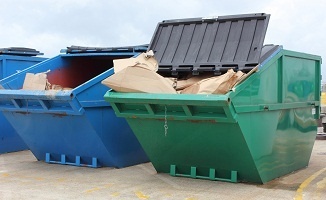 How you collect your materials often depends on the requirements of your waste service. Some haulers are okay with everything being mixed, while others want everything separated at the collection site. Make it easy for people to understand what to do with simple wording and descriptive graphics. It’s important to let people know what materials are acceptable for disposal. If you’re separating materials, show where to put them. People will make their decisions in a split second, so it’s important that instructions are direct and clear. Construction waste containers in Detroit, MI, may need to be designed to meet specific collection requirements based on materials. The shape and weight of the materials needs to be taken into consideration. It’s a similar situation for commercial waste containers in Detroit, MI. As an example, if people are dumping liquids, it requires a different container design than if everything is dry. Nothing attracts critters and insects like a waste and recycling site. If there are food products involved, it can attract pests like a magnet. But even without food, a container may seem to animals like a good place to seek shelter. The best containers are smartly designed to deny access to pests. Waste and recycling containers should be easy to maintain for everyone from waste haulers to employees. Easier maintenance, such as more frequent emptying, results in better and more compliant use of the containers. 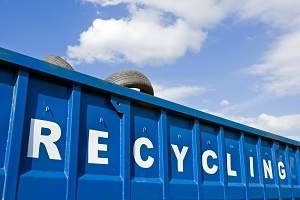 The right container can have a significant impact on the effectiveness of your waste and recycling program. When you consult with a waste container manufacturer in Detroit, MI, you can gain insight on how to get the container that’s best for you.